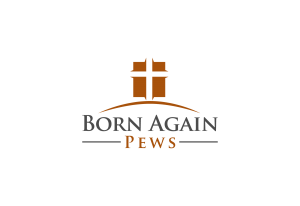 Building and installing church pews has taken us all over the country, from making a special delivery to the Duck Dynasty family and appearing on ABC to churches as close as nearby Sallisaw and as far away as Michigan. 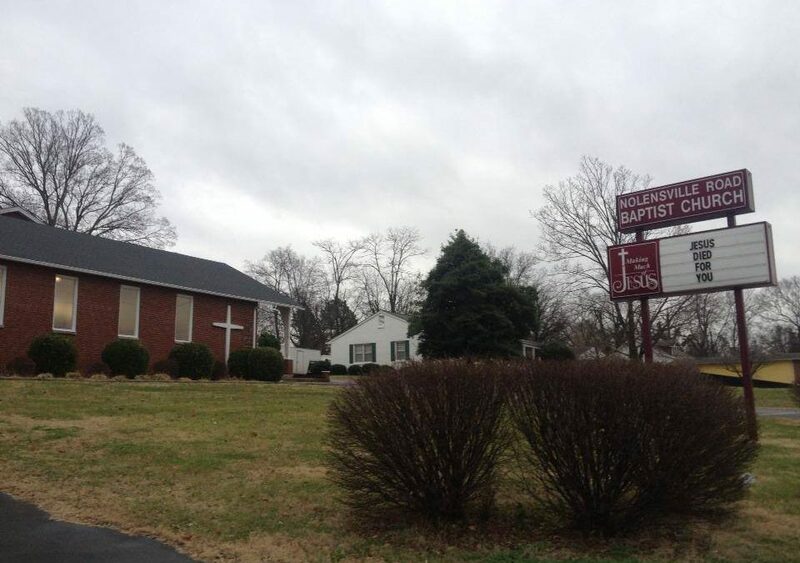 One of our most recent trips took us to Nolansville Road Baptist in Nashville, Tennessee. The church has undergone some serious renovations and we’re happy to be a part of their process. To get an idea of what kinds of changes they’re doing, take a look at their website for details on the project, including photos of before and during the renovations. The worship space had some areas that looked outdated and didn’t function well for their church. One of the biggest problems with the space was the feeling of heaviness. Outdated wood paneling can make the friendliest sanctuary feel dark and less than welcoming. The photos here show how airy and open the church now feels. With lots of work, the church removed all the wood paneling and replaced it with bright paint. The altar now features a recessed area where the cross is the focal point. We worked with the church to find just the right pews to echo the sloping roof and provide the beautiful, welcoming feeling the church wanted. These pews are more relaxed but still have formal elements to match the tone of the architecture of the church. 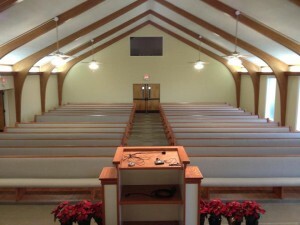 We also changed the color of the pew fabric to further brighten the sanctuary. 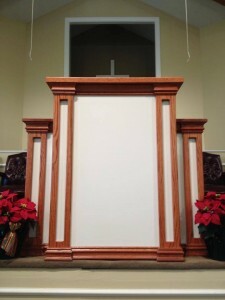 Another thing to note is the custom made pulpit that matches the church’s redesign perfectly. With white panels and woodwork to match the pews and the architectural features of the beams, the pulpit brings together all the different features of the sanctuary. Straight lines in the pulpit match the new recessed altar but also match the pews in color to connect the sloping wood in the church to the straight lines of the altar. We also made plenty of room in the new pulpit for electronic equipment. 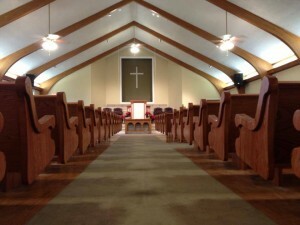 If your church is looking to renovate your entire sanctuary, don’t forget about the pews and other church furniture. They can make a big difference in the way your church looks and feels.